Since its founding, in 1921, Xiamen University has produced more than 200,000 undergraduates and graduates. Over 60 academicians of the Chinese Academy of Sciences (CAS) and the Chinese Academy of Engineering (CAE) have studied or worked at Xiamen University. Xiamen University has 27 schools containing 76 departments and 10 research institutes. 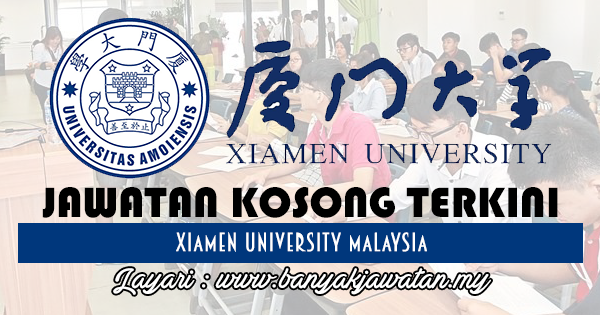 0 Response to "Jawatan Kosong di Xiamen University Malaysia - 11 Ogos 2018"